Explore the numerous day-trip ideas around Riga: Sigulda (Turaida Lutheran Church & Turaida Castle), Rundāle Palace (in Pilsrundale) and Salaspils Memorial Ensemble (in Salaspils). On the 8th (Sat), enjoy a perfect day by the water at Jurmala Beach. Spend the 15th (Sat) exploring nature at Kemeri National Park. Next up on the itinerary: take a stroll through Old City Riga (Vecriga), admire the striking features of Alberta Iela, enjoy breathtaking views from View of Riga from St Peter's Church Tower, and take in the spiritual surroundings of St. Peter's Church. 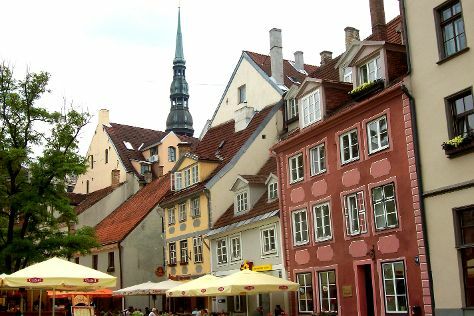 To see where to stay, ratings, more things to do, and more tourist information, read Riga sightseeing planner . If you are flying in from Egypt, the closest major airport is Riga International Airport. In June, daily temperatures in Riga can reach 24°C, while at night they dip to 13°C. Cap off your sightseeing on the 17th (Mon) early enough to travel back home.